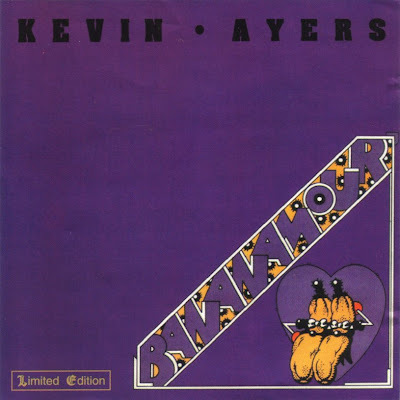 Bananamour is the fourth studio album by Kevin Ayers and it featured some of his most accessible recordings, including "Shouting in a Bucket Blues" and his whimsical tribute to Syd Barrett, "Oh! Wot A Dream". After Whatevershebringswesing, Ayers assembled a new band anchored by drummer Eddie Sparrow and bassist Archie Legget and employed a more direct lyricism. The centrepiece of the album is 'Decadence', his withering portrait of Nico; "Watch her out there on display / Dancing in her sleepy way / While all her visions start to play / On the icicles of our decay / And all along the desert shore / She wanders further evermore / The only thing that's left to try / She says to live i have to die." The album marked the end of Ayers' first Harvest Records series.